Marianne Van Lent, a graduate of Temple University, Tyler School of Art, received an MFA from Cornell University. Her professional career began with a solo show in Stuttgart, Germany in 1978. She has exhibited widely in New York City and nationally. Public Art grants for installations and public murals include Creative Time, H.A.N.D.S.,NYSCA, and Art for Transit. Teaching includes: Color and Light at Pratt Institute, Drawing, Painting, Monotype, and Fresco Secco at Art School of the Berkshires and Drawing, Painting and AP Art History at Poly Prep Country Day School. She has taught cooking workshops at Whole Foods, PS189 and The Hudson Opera House. 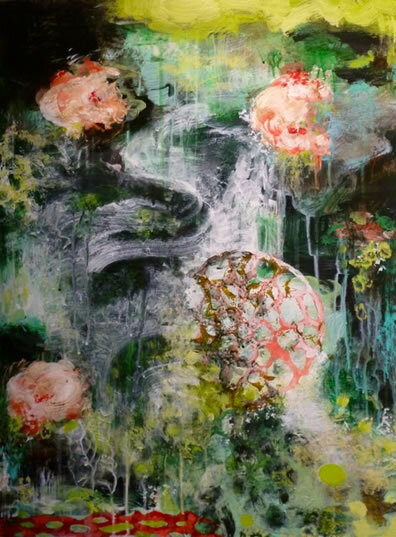 A painter of the natural world, Marianne Van Lent works in fresco secco and dispersed glazes. The imagery of the earth, its cycles and psychology are the subjects of inquiry in her paintings as they explore the dream of place, sanctuary and spiritual separation.